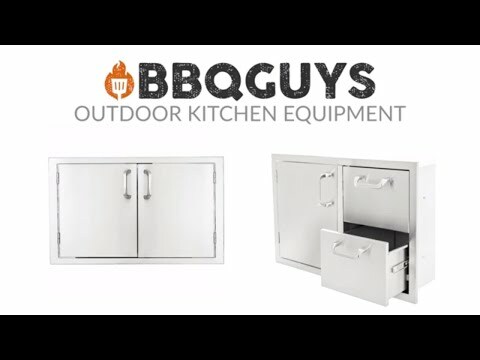 This BBQGuys Double Door and Drawer Combo features commercial 304 grade, stainless steel construction, and a 20 gauge steel frame; external flag hinges on door for easy removal; heavy duty commercial grade ball bearing drawer glides; full length drawer tracks; and a number 4 brushed finish. Doors are open for island access. Drawers are fully enclosed. Unit is flush mounted. Is it open access behind the doors and will this work under a grill? Hi, Cain. Yes, these doors will give you access into your island and can be installed under a grill. Hi, Harlan. This combo unit isn't compatible with an open storage pantry. There isn't enough space between the doors and the drawer to allow the pantry to sit flush. Is there any instructions on how best to install? It is very tip heavy. Hi Bernie, we don't publish instructions on how to install this door because it vary depending on the materials used in your outdoor kitchen. 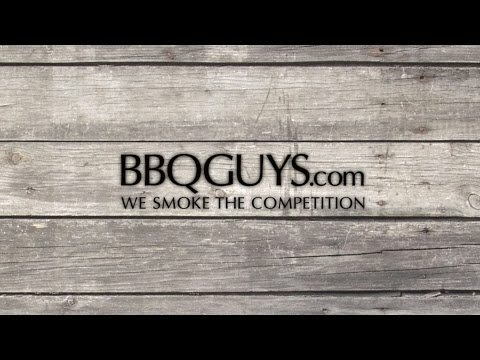 Give us a call at 1-877-743-2269 or visit us at www.bbqguys.com/contact-us and one of our outdoor kitchen specialists would be happy to help you out. You can also go to our web site and click the Chat icon in the lower right to be directly connected with one of our specialists. What is the drawer actual height. Thanks! Great question, Matt! The interior height is 4 inches. 28 1/2" 34 1/2" 34 1/2" 28 1/2"
24 1/2" 19 3/8" 19 3/8" 24 1/2"